game rooms than Stern announced their next licensed game, NBA. is a new spinning disc in the centre of the playfield. 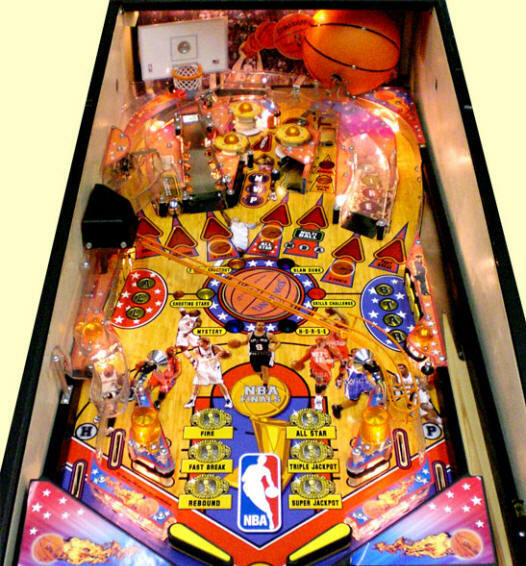 of NBA here at Pinball News HQ we didn't know any of them, but thanks to Roman Kunovic we now know they are: Yao Ming, Shaquille O'Neal, Allen Iverson, LeBron James, Dwight Howard, Kobe Bryant, Dwayne Wade and Kevin Garnett (backglass). 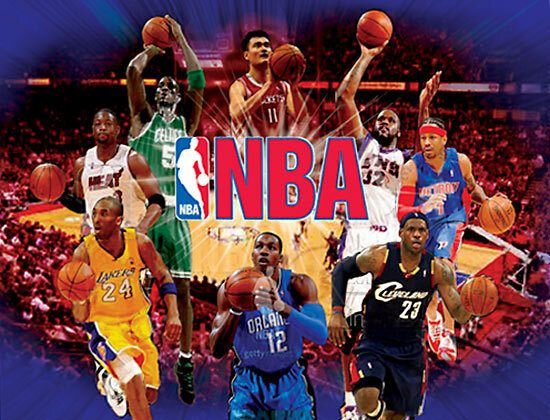 The 20 NBA Team Players Featured in the NBA Pinball Machine ! score and the animations are all artistic licence and not to be taken at face value. Taking an existing design and modifying it is one way in which Gary Stern can create new models without needing any extra design staff. There is talk this new game is aimed primarily at the Chinese market where pinball has yet to make any impression but where the NBA and basketball in general has become very popular. continuing coverage of the Pinball Machine industry ! 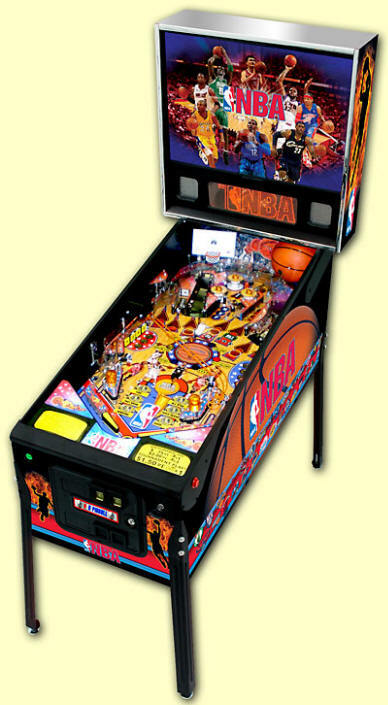 Click Below For A Video Of The NBA Basketball Pinball Machine !